So who did command the 58th NCT at Bentonville? Earlier this year, I wrote a piece entitled “How Rumors Get Started” on the discrepancies between versions of a story about who commanded the 58th North Carolina Troops during the battle of Bentonville. Writing about three decades after the war, Capt. Isaac Bailey, who was not at the battle, claimed that Lt. Col. Samuel Silver was in command of the regiment. The limited sources from the time period say differently, namely the official report of the battle by the 58th NCT’s brigade commander, Brig. Gen. Joseph M. Palmer. List of casualties in the 58th N. C. regiment, commanded by Major G. W. F. Harper, in the battle of Bentonville, on Sunday, March 19, 1865. Co. A – Wounded, Privates S. Gaddy slight in head, M. Miller, slight in arm. Co. B – Wounded, Private J. B. Turbyfield slight in foot. Co. D – Wounded, Lieut. D. F. Baird, dangerous in breast; corpl B. L. Presnell, mortal in abdomen; Private S. Green, mortal in head (since died); M Strickland slight in shoulder. E – Killed, Pvt. A. F. Green. Wounded, Lieut. W. C. Coffey, slight in breast; Privates J. C. Shuffler, seriously in thigh; A. Pearce, slight in foot; I. Anderson, slight in knee; I. Coffey, slight in hand; N. Smith, slight in foot; Wm. Coffey, slight in hand. Missing – I. Sherill. F – Wounded, Sgt. J. J. Marler, slight in arm. H. – Wounded, Privates J. M. McCall, slight in breast; H. Stafford, slight in arm; E. C. Fox, slight in hand; J. Turnmire, slight in groin. K – J. McKinney, slight in head. L – Sergt. J. Spivey, mortal in knee (since died;) Privates M. M. Faircloth, serious in leg; T. Hurley, serious in knee; H. Hurley, slight in thigh. Total – Killed or died of wounds 3. So what say ye? Harper or Silver? It’s been a long time since we examined a county… just been a little busy. I reckon it’s time to return to our study. I thought this time we would look at the far north-eastern corner of the state – Currituck County. Currituck County, which borders Virginia, was formed in 1668. The name Currituck is a local Native American word meaning “land of the wild geese.” Surprisingly, the county seat, also named Currituck, has (according to the Encyclopedia of North Carolina) never been incorporated. The county is largely surrounded by water, and the Albemarle and Chesapeake Canal cuts through the county. According to the 1860 census, there were a total of 7,415 people living in Currituck County. That included 2,524 slaves and 221 free persons of color. In the 1860 presidential election, Currituck County men cast 595 votes for Breckinridge and 66 for Bell. No one voted for Douglas. In the 1861 vote to call a convention, Currituck County men voted 447 in favor of the convention, with 86 opposed. Henry M. Shaw was elected the convention delegate. Shaw, born in Rhode Island, had a varied career. He was a businessman, minister, medical doctor, and state senator. Shaw withdrew from the convention early on to accept the colonelcy of the 8th North Carolina Troops. Shaw served in the Army of Northern Virginia for a time. During the 1864 attack on New Bern, Shaw was mortally wounded. Currituck County sent several companies into Confederate service. They include Company B, 8th North Carolina State Troops, Company E, 17th North Carolina State Troops, Company G, 4th North Carolina Cavalry, and Companies C and G, 68th North Carolina Troops. There were also several men from Currituck County who served in several different companies in different regiments of the United States Colored Troops. During the war, Currituck County suffered much from raiding, guerrilla bands, and frequent incursions. Early in the war, the state of North Carolina established salt works. Federal soldiers from the 5th Rhode Island were sent at least once to search and destroy these works. On several occasions the Northern blockading fleet captured vessels off Currituck. On August 19, 1861, the USS Dale boarded the British bark Queen of the Lake, and about a month later the same sailors boarded the schooner Velma. The site of the Court House in Currituck was visited numerous times throughout the war. On February 12, 1862 the 59th Virginia Infantry passed through the Hamlet. Many of the companies of the 8th North Carolina State Troops were recruited on the grounds of the Court House, and at another point during the war, Federal Troops were camped on the courthouse grounds. Mid-May 1863 local Confederates attacked and captured Federal mail-ship steamers Emily and the Arrow in the Albemarle and Chesapeake Canal. In August 1863 Confederate guerillas burned all of the bridges in Currituck and surrounding counties and in June 1864 Federals raided into Currituck County. In 1918, a monument was placed on the grounds of the courthouse in Currituck to commemorate the county’s Confederate soldiers. Finished reading Escott’s North Carolinians in the Era of Civil War and Reconstruction. I’ve been blogging about the different essays as I’ve read as I have went along. I finished the last three essays over past few days and wanted to send along a few more comments. I’m not sure why Laura F. Edward’s Essay, entitled “Reconstruction and North Carolina Women’s Tangled History” was included in the collection. It is an interesting essay, but save for the last three or three and half pages, the whole essay only deals with women and their legal rights in Antebellum times. I do understand having to set the stage, but for twenty-one pages? I thought the next essay, “Marriage Divorce, and Gender in the 1868 Constitutional Convention in 1868” by Karin Zipf was really good. Maybe Edward’s essay helps set Zipf’s essay in context. The two essays that deal with Vance, “The Immortal Vance: The Political Commemoration of North Carolina’s War Governor” by Stephen Nash and “To Do Justice to North Carolina: The War’s End according to Cornelia Spencer, Zebulon B. Vance, and David L. Swain” by John C. Inscoe were really good. So, would I recommend this book to someone? Depends on your interest level in the North Carolina and the War. So what is next? 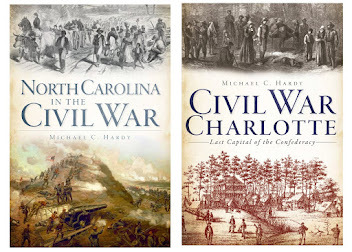 I’m three chapters into D. H. Hill Jr.’s History of North Carolina and the War. Reflections on the 58th NCT and 37th NCT. This weekend, I wrapped up the proofs for the book on the 58th NCT (more details on release date to come soon). That makes two regimental histories that I’ve written. The first was on the 37th North Carolina Troops, which served in the Army of Northern Virginia. I did not know when I began that project that the 37th NCT lost more men than any other regiment from North Carolina during the war – a little more than 800. I kind of thought that when I finished the project, and it looks like that those numbers are true. 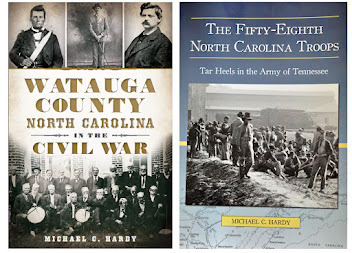 The 58th North Carolina Troops was remarkably different in several ways. I have read that the 58th NCT was the largest regiment fielded by North Carolina during the war. The numbers that I came up with make it only slightly bigger than the 37th NCT. Both regiments had over 2,000 men. The 58th NCT was a Army of Tennessee regiment, really only one of two Tar Heel regiments to serve in the AofT, the other being the 60th NCT. The 29th NCT and 39th NCT both served in the Army of Tennessee, but they also served in other armies as well. While the 58th and 60th (consolidated) were surrendered at Greensboro, the 29th NCT and 39th NCT finished out the war in Alabama. The 58th NCT will also probably be recorded as the regiment with the most deserters, and possibly the most deserters to join the Union army. I often joke with a couple of pards about how the 58th NCT was just a stop for men who later “transferred” to the 3rd North Carolina Mounted Infantry (US). In the end, I came up with 355 men of the 58th NCT who died during the war. That number is low, possibly 100 men low. There are just way too many men in the 58th NCT whose records end when they arrived in a hospital in some place, never to be heard from again. I probably could have taken the census records for the individual counties and spent years comparing them to the rosters, trying to track down those who did come home. But I did not. As I said, that would have taken years. And I have already spent years on the project. I started collecting information on the 58th NCT about the same time I started working on the 37th NCT – which was in 1996. I did spend three years of starts and stops actually writing the book on the 58th NCT. So what is next? Well, as I have already written, I have a contract for a concise, well-illustrated history of North Carolina and the War. I also have three other projects that I have been researching for years just lying about here around the office. Am I going to take up my pen and write about another regiment? Sure. Which one? I’m not sure. I was at a cookout on Saturday evening with some friends and a few were trying to take collections to prompt me in a few different directions. The leaders in the discussion that evening were the 7th NCST and the 29th NCT. We’ll see. Since four of the top thirteen regiments to suffer the most losses came from the Branch-Lane brigade, and since I have already written about one of those regiments, I’m probably leaning in that direction. But you never know… And to be honest, until I pick up my pen, neither do I. FOUR OAKS -- The sounds of artillery and musket fire will once again ring out at Bentonville Battlefield State Historic Site during the annual summer living history program on Saturday, Aug. 28. From 10 a.m. until 4 p.m., costumed living historians will demonstrate how soldiers made meals, maintained their weapons and uniforms, trained for battle, withstood the weather and much more. This free program will feature musket demonstrations at 10:30 a.m., 12:30 p.m. and 2:30 p.m., and artillery firings at 11:30 a.m., 1:30 p.m. and 3:30 p.m. Visitors can stroll through a Civil War soldier’s camp and discover what role the enlisted man played in battle. Re-enactors from the 27th North Carolina Troops will explain and answer questions about military life during the war. These living historians will also give uniform and equipment talks. The Battle of Bentonville, fought March 19-21, 1865, involved 80,000 troops and was the last Confederate offensive against Union Gen. William T. Sherman. Bentonville Battlefield is located at 5466 Harper House Road , Four Oaks, NC 27524, three miles north of Newton Grove on S.R. 1008. For more info rmation, visit www.nchistoricsites.org/bentonvi/bentonvi.htm or call (910) 594-0789. We’ve not really visited the news scene in a while, so here is a look around the Old North State. The folks at Blog Divided have an article about Hinton Rowan Helper, a North Carolina native who wrote The Impending Crisis in 1858. The book was a call to Southerners to end slavery, and caused quite a stir. Check out the post here. Andrew Duppstadt, over at Civil War Navy, talks about a Civil War living history on the WWII USS North Carolina in Wilmington. You can check out his post here. Hopefully, photos will follow soon. There are quite a few articles around on the counting of North Carolina’s Civil War dead, which I talked about last week. You can read more about it here, here, and here. There is a interesting article about the end of the war in Cleveland County in the Cleveland Star. Check it out here. You can read a great article about a women whose father served in the 28th North Carolina Troops here. It seems that I have survived another action-packed weekend, which included three road trips, two of which could be considered war-related. Friday night found me in the town of Burnsville at the Parkway Playhouse. It was opening night of “The Ballad of Tom Dooley." 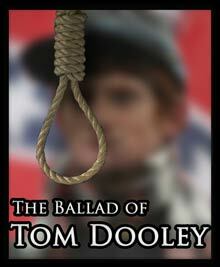 The real story (which takes place in 1866) of this former Confederate soldier is well known to many. Needless to say, the writers of this script took quite a few liberties with the historical story. But it was a good play, and the music was great. The play is running through August 21. You can find more information here. We were up early on Saturday and on our way to Durham to the Bennett Place for their last 2nd Saturday program. I joined about a dozen other authors for a mini-author’s fair. I had the pleasure of being set up under the old Band Stand there on the property with local historian Jim Wise and Appomattox Historical Park Ranger Burt Dunkerly. We had a great time talking to the crowds and sharing information amongst ourselves. Throughout the day, we were kept in step by the Carolina Drum and Fife Corps, which sounded great! On another note, tonight (Monday, August 16), Dr. Michelle Gillespie, of Wake Forest University, will be speaking before the Mitchell County Historical Society on the aftermath of the War in the Appalachian Mountains. Dr. Gillespie will be at the Mitchell County Historic Courthouse at 7:00 pm. 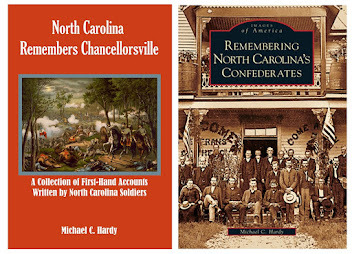 I’m still working on the proofs for the book on the 58th North Carolina Troops. They should be finished this week. And as always, I have a couple dozen score of emails that need attention. Hopefully I’ll get to yours soon. This morning, I was “playing” around with the Historical Census Browser at the University of Virginia. There are many different ways to use the database, and many different facets can be examined. I was looking at the Cash Value of Farms, and the numbers are truly revealing as to the loss that North Carolinians suffered during the war. Yancey County farms were valued at $944,719.00 in 1860, yet only $218,651 in 1870, a loss of 77 percent. Union County farm land was valued at $1,293,504 in 1860, and just $378,056.00 in 1870, a loss of 71 percent. Orange County, there in the Quaker Belt, was valued at $2,141,690.00 in 1860, and just $977,308.00 in 1870, a loss of 55 percent. Duplin County was valued at $3,131,621.00 in 1860, and just $649,750.00 in 1870, a loss of 80 percent. Yancey, Union, Duplin were worth less in 1870 than in 1850. Surprisingly, Mecklenburg County seemed to recover more quickly (or lose less?). In 1860, the cash value of farms was $2,823,949.00 and in 1870, $2,645482.00, a loss of just seven percent. I am sure that there are a number of factors that led to this decline. The war would have destroyed some (many) of the farms; given that North Carolina lost tens of thousands of soldiers, there would have been fewer farm hands to work these farms; and, there was a mass exodus from North Carolina to points further west. I also did another survey concerning the growth of slavery in North Carolina from 1850 to 1860. Once again (surprisingly), there were a number of North Carolina counties where slavery actually declined in that decade. Those counties include Ashe, Caldwell, Camden, Cherokee, Cumberland, Haywood, Macon, Orange, Stanly, Surry, Tyrrell, and Watauga. There is much to be found by examining these numbers. Let me encourage you to check out the database here and make some discoveries on your own. I just finished reading an article in the Greensboro News and Record about the work of Josh Howard of NCDAH and Charles Purser of the Garner Camp of the Sons of Confederate Veterans who are working to document the number of North Carolina Confederate soldiers who died during the War. It is a good article, and I encourage you to read it – you can find it here. I think it is great that people are working on getting the correct number of North Carolina’s Confederate dead. Franklin Cuzzens lived in Boone, Watauga County – check the 1860 Watauga County census. He is listed in household number 96, Boone district, with his wife Elizabeth and their daughter Mary. They are listed as Mulatto. In 1850, he is listed as black. Franklin, and his brother William Henry, volunteered as privates in what became Company B, 37th North Carolina Troops, on September 14, 1861. At times, according to their Compiled Service Records from the National Archives and Records Administration, their last names are spelled Cuzzens, Cozzins, Cossins, or Cossens. And at times, William Henry is just seen as Henry. 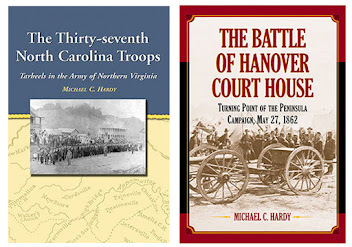 In April 1862, both brothers voluntarily re-enlisted in the 37th North Carolina Troops. Franklin Cuzzens was killed in combat on August 27, 1862, during the battle of Second Manassas/Bull Run. William Henry survived the war, moved to Yancey County, married, and drew a pension for his Confederate service from the state of North Carolina. There is so much discussion about blacks who served in the Confederate army, about their being relegated to minor or non-combat roles. That may be true for most of them. However, Franklin Cuzzens, a free person of color that held almost no rights, gave his life for the Confederate cause. By the way, according to the research being done, the 37th North Carolina Troops lost more men (killed, died) than any other Tar Heel regiment during the war. 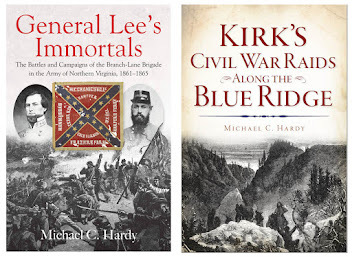 On the road this week – I’ll be presenting and signing books tomorrow night at the A. H. Stephens Camp 78 of the Sons of Confederate Veterans in Americus, GA. They meet at the John D. Mathis American Legion Post #2 (923 North MLK Blvd) in Americus at 7:00 pm. You can check out their web page here. On Saturday, August 14, 2010, I’ll be at the Second Saturday program at the Bennett Place in Durham, North Carolina. I’ll be there all day, but I’ll be speaking a little after lunch. If you are in the area, stop by and say hi!. 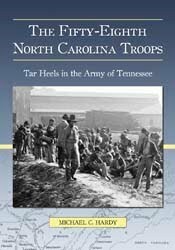 I’ve not had much to post lately with the book on the 58th North Carolina Troops. The project’s kind of been in publisher’s limbo. But, I am happy to announce that the proofs have arrived. The whole project is scheduled to go to the printer in four weeks. So, maybe I’ll have some concrete release information really soon. I am looking forward to re-reading the book (not really looking forward to creating the index – just part of the job). I’ve not really looked at the manuscript since I turned it in several months ago, so it will be a fresh read. Well, I guess it is time to go to work. DURHAM – American Indian folk tales and games at Stagville Plantation, early lessons in reading and writing along with folklore and history authors at Bennett Place , and a children’s festival with youthful artisans and kid-friendly vendors, make for a fun-filled itinerary at 2nd Saturdays programs on Aug. 14 in Durham . Families on a budget and adventurous travelers will enjoy the music, books, games and costumed interpreters who bring life to practices of bygone days. This final 2nd Saturdays program at the state historic sites and museums within the N.C. Department of Cultural Resources (www.ncculture.com) will offer arts, history and genuine North Carolina culture at venues all across the state. Each site this summer has created three unique programs that may include fresh local produce from area farmers, music from area musicians, handcrafted foods or textiles, original artworks or books, and all as great gift ideas ready for sale (http://www.flickr.com/photos/ncculture/). “Learning the Land: Native Americans at Stagville” will offer tales from Kay Begay and flute music from Daniel Begay. Breads, baskets, digital art and decoupage will be for sale, along with hot dogs, hamburgers and roast corn. The generations-old Cherokee Butterbean Game, and other games, will bring joy to many. 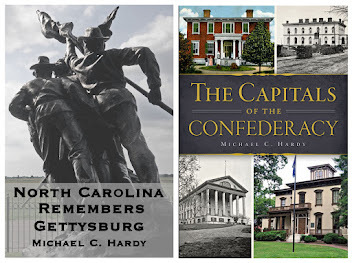 “Authors of North Carolina ” at Bennett Place State Historic Site will include history, art and authors from the Old North State . Revolutionary and Civil War history, cookbooks and folklore are in store. 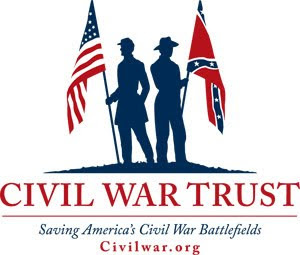 Stewart Dunaway, Piedmont area American Revolution War authority, and Burt Dunkerly, National Park Ranger and historian of the Revolutionary War Southern Campaigns, will make presentations. 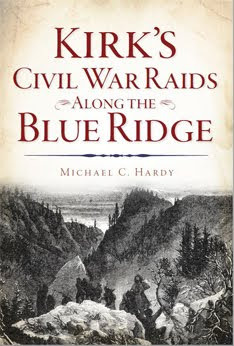 Michael Hardy, Civil War historian of North Carolina Confederates and Blue Ridge Mountain area wartime activity, will share personal accounts of Confederate soldiers. Jim Wise, author of “On Sherman’s Trail” and “Durham Tales,” will speak on the Civil War’s final days and Durham history. The history of Civil War music will be explained by members of the popular Civil War-genre band Carolina Fife and Drum, which also will perform. A “Summer Children’s Festival” at Duke Homestead will be a delight to young and old. The Little River Cloggers will perform. Children will be able to make take-home projects at the mobile Home Depot Children’s Workshop. Costumed interpreters will help young visitors make rag dolls, a “buzz saws” game and cookies. Music will be played on conch shells, cow bells and other odd instruments. A storyteller will weave a spell. The more than 20 vendors include youthful artisans, who will sell items for children. Another crowd pleaser will be engine-churned ice cream! Partners in the 2nd Saturdays program include “Our State” magazine, the Division of Tourism within the N.C. Department of Commerce, the N.C. Cooperative Extension, and the Tourism Extension Program in N.C. State University ’s Parks, Recreation and Tourism Management Program; with grant support from the Golden LEAF Foundation. Durham , NC 27712 .